EXPED SynMat HL M Sleeping Mat. Condition is New. Sent with Australia Post Standard Service. The SynMat series uses Texped-loft microfiber to provide outstanding insulation, and is laminated to upper and lower sides of the mat to ensure durable loft and insulation for the life of the mat. Exped's proven FlatValve technology separates the inflation and deflation valves, is non protruding and more durable than traditional valves. The synthetic microfiber insulation is less expensive than down. The warmth to weight ratio of our SynMat is superior to traditional sleeping mats. So we know, that when you’re out enjoying these landscapes the last thing you want to be worrying about is your gear! Designed for the simple inflation of Exped Mats. Any Exped mat can be inflated in just 2-3 compressions and even works on mats with an integrated pump. The Schnozzle Pumpbag is also a waterproof compression drybag for clothing sleeping bag etc. The SynMat UL Winter is everything you want your sleeping mat to be - a perfect balance of weight & comfort. In addition, the laminate is airtight and impervious to hydrolysis. A clever pump sack is included to assist you with inflation. The integrated pump makes inflation swift and simple. The DownMat 7 is the mat for all seasons. Fill Weight: 170 g. Top: 75 D Polyester, TPU Polyether film laminate, hydrolysis resistant, honeycomb embossed, Oeko-Tex 100 certified. The SynMat Hyperlite is the worlds lightest mat for its warmth and comfort levels. All things considered, the SynMat HyperLite is arguably one of the best 3-Season Hiking Mats on the Market. Inflation only takes 1 to 1.5 minutes. Great comfort, warm enough for winter, durable, compact and proven. If you own one mat for everything from car camping to long distance hiking, this is it. Top: 75 D Polyester, TPU Polyether film laminate, hydrolysis resistant, honeycomb embossed, Oeko-Tex 100 certified. It also doubles as an ultra lightweight compression stuffsack. Proven FlatValve Technology: separate inflation and deflation valves, non protruding and more durable than traditional valves. 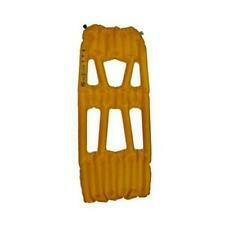 A comprehensive repair kit for Exped sleeping mats fixes leakage, holes and tears. We choose to live in Tumut so that we can enjoy the Snowy Mountains whenever we want. Contents: 13 large adhesive patches in the mat colour range plus one tube of PU textile glue and a detailed instruction sheet (in 3 languages!). Protect your Exped mat and convert it into an outdoor seat at the same time! Exped Chair Kit can be used as a seat, a lounge chair or as a sturdy sleeping mat cover. A comfy cloud of air for a dreamy night's rest Superbly comfortable lightweight AirPillow constructed from comfortable tricot fabric. A packable sleeping mat for cushioned comfort when you camp. Exped Pillow Pump (Ruby Red). DOWNMAT LITE 5 M. Top: 75 D Polyester, TPU Polyether film laminate, hydrolysis resistant, honeycomb embossed, Oeko-Tex® 100 certified. Bottom: 75 D Polyester, TPU Polyether film laminate, hydrolysis resistant, Oeko-Tex® 100 certified. An incredibly lightweight air mat that packs down to just one litre in volume, with a handy pump to help inflate it The AirMat Ultralite from Swiss outdoors experts Exped is an ultra compact and ultralight air-inflatable sleeping mat that's so compact and packable it fits in your hand. Exped MegaMat Duo 10 Sleeping Mat (Ruby Red, LW ). The SynMat Lite 5 provides reliable warmth and comfort in 3 seasons. Super light and super comfortable sleeping mat in its category and super packable Next-to-skin comfort and anti-slip GripSkin honeycomb-pattern coating. Get a comfy night's kip on this featherweight, feather-filled slumber pad The DownMat HL Winter from Exped is the world's lightest mat at comparable warmth and comfort levels. Exped Seal 4" Smart Phone Sleeve (Transparent/Grey). A superlight camp bed for couples - enter Exped's Duo range The world's lightest, warmest and most comfortable mat in its category is also super compact when stowed! Designed as a mat for two but luxurious as a mat for one. The biggest, fattest, longest and widest sleeping mat for unreal campsite comfort If you're after a bed away from bed, this supersized mat is built to provide just that. Compactable comfort that's lightweight, the perfect companion on those long treks. Spending time in the great outdoors usually requires making do with little home comforts, including going to sleep at night. Camping sleeping mats are often extremely thin that make you feel like you're sleeping on the ground. Thankfully, Exped have a suburb range of camping mattresses that will help you get comfortable and have a good night's sleep even in the most extreme and rough conditions. Are There Different Kinds of Exped Sleeping Mats? Exped know that everyone's outdoor adventures are different and that many limit themselves with the amount of gear they can carry. 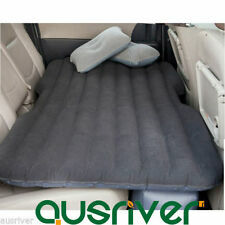 Camping sleeping mats with inflatable mattress are definitely a good way to get comfortable if you have the space. SIM Comfort range lightweight mats: These mats self-inflate and come in either single or double size. The double size mat can fold over for extra comfort. They come in a roll top bag with carry strap and a mini pump is included. Megamats: When weight is not so much of an issue you can go for one of the Megamat series. Megamats are new generation self-inflating mats that provide a level sleeping surface. You can feel much more cosy on one of these as they are thicker and big on warmth, comfort and size. Multimat: The thinnest and most lightweight option is the Multimat series, which is great as a versatile option to take on expeditions. 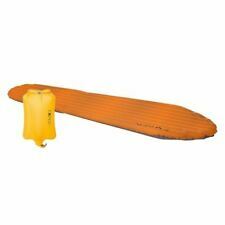 They are not inflatable like the other Exped sleeping mats and are made of waterproof EVA foam with 40D ripstop nylon. You can use a Multimat as a light sleeping pad, picnic mat or tent liner. 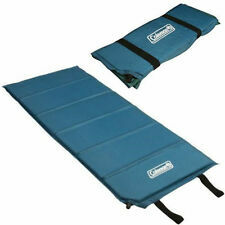 Are the Exped Sleeping Mats Suitable for Camping at High Altitudes? Downmat: The Downmat has top quality down insulation and comes in a waterproof sack that also works as a pump and compression bag. 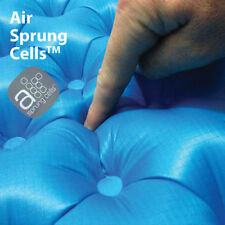 You can inflate these in just two minutes. Hypersleep: These camping mats are really lightweight and great for all four seasons as a thin mat, but are especially useful on expeditions as a base to other sleeping mats for extra comfort. Does Exped Make Other Camping Equipment? 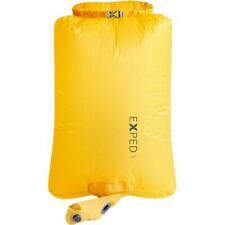 Not only do Exped make excellent sleeping mats, they have a range of other great outdoors gear suitable for your next adventure. You can find backpacks, walking poles, tents, hammocks, ponchos and a selection of camping accessories.